Children and even adults can have a makeover at the Walt Disney Resort. Children can choose between several princess (or prince) packages at the Bibbidi Bobbidi Boutique located in both Disney Springs and Fantasyland in the Magic Kingdom. Children and adults can get a complete pirate makeover at the Pirates League located in Adventureland at Magic Kingdom. Check the links above for additional information and pricing for these boutiques. One of the best saving tips for Bibbidi Bobbidi Boutique is to make or purchase a princess costume elsewhere and bring it with you. This tip can save over $150 or more over a complete makeover package. If you are an Annual Passholder or Disney Vacation Club Member ask if there are any discounts. These are sometimes offered at Pirates League and Bibbidi Bobbidi Boutique and it never hurts to ask. Disney offers many unique behind-the-scenes tours and experiences to guests for an additional charge. The list below indicates current discounts being offered. More information on Backstage Tours and Experiences offered at Walt Disney World can be found on our Walt Disney World Tours page. Disney Rewards Visa cardholders, Annual Passholders and Disney Vacation Club Members receive a discount on most experiences. Walt Disney World Premium vacation packages include unlimited use of selected Magical Kingdom, Epcot & Disney’s Animal Kingdom tours, excluding Epcot’s DiveQuest, Dolphins In Depth, Seas Aqua tours. All VIP tours at excluded. Walt Disney World Platinum vacation packages include unlimited use of selected Magical Kingdom, Epcot & Disney’s Animal Kingdom tours including Epcot’s DiveQuest, Dolphins In Depth, Seas Aqua tours. All VIP tours are excluded. Cirque du Soleil La Nouba has ended its run on December 31, 2017. A new Cirque du Soleil is currently in the works. For additional La Nouba information, visit our Disney Springs West Side page. For tickets call (407) WDW-SEAT, purchase online at cirquedusoleil.com/lanouba or visit the box office located on the plaza level of the theater. The Cirque Club, which is free for anyone to join, often offers discounted La Nouba tickets to members as well as occasional merchandise discounts and discounts to other Cirque du Soleil shows nationwide. Visit Cirque’s web site for more info or to join Cirque Club and get your discount! Active and Retired Military personnel may obtain La Nouba tickets at a savings on all seat categories except Front and Center when purchased in person at the La Nouba box office. Discounted tickets may be purchased up to 14 days in advance. Military personnel must present valid identification at the time of purchase. The discount applies to up to 6 La Nouba tickets per transaction. Walt Disney World Premium and Platinum vacation packages include a La Nouba ticket for everyone on the reservation. Reservations must be made in advance of arrival and guests will receive an admission voucher at check-in. Cheap Seats: Category 4 La Nouba seats can be purchased in advance or, when available, at the Cirque Box Office at Disney Springs in person on the day of performance, 11:00 a.m. to 11:00 p.m. daily. Category 4 seats are located at the far sides of the theater, and although they are extremely off center, the views are not bad. See a Seating Chart for the location of these seats. Walt Disney World features two fantastically-themed water parks. Visit our Blizzard Beach page or our Typhoon Lagoon page for information on either of these parks. Annual Passholders and Disney Vacation Club Members receive a discount Water Park admission. If you purchase Walt Disney World theme park passes for the park, you can add the Water Parks Fun & More option to your ticket. This allows two to ten visits (depending on the number of days on the base ticket) to your choice of Disney’s Blizzard Beach, Typhoon Lagoon, Wide World of Sports Complex and a round of golf at Oak Trail. One and two day Walt Disney World Theme Park tickets will each have two plus options, all other tickets will have one option for each additional day. Pool cabanas are available at Disney’s Monorail resorts: Disney’s Contemporary, and Grand Floridian. Cabanas include amenities such as chaise lounge chairs, chaise bed, locking cabinet, DVD Player, LCD TV with cable, ipod docking station, mini-frig w/complimentary sodas & water, and complimentary fruit basket. Maximum accommodation is 6 people. Private dining and massages are available upon request at an additional cost. All Disney Deluxe resorts and DVC villas, except those at Animal Kingdom Lodge, Disney Moderate Resorts, and Disney’s Fort Wilderness Resort & Campground feature marinas from which to rent various watercraft. Water craft can also be rented from the marina adjacent to Village Lake at Disney Springs Marketplace. Fishing excursions are generally available from the same locations. 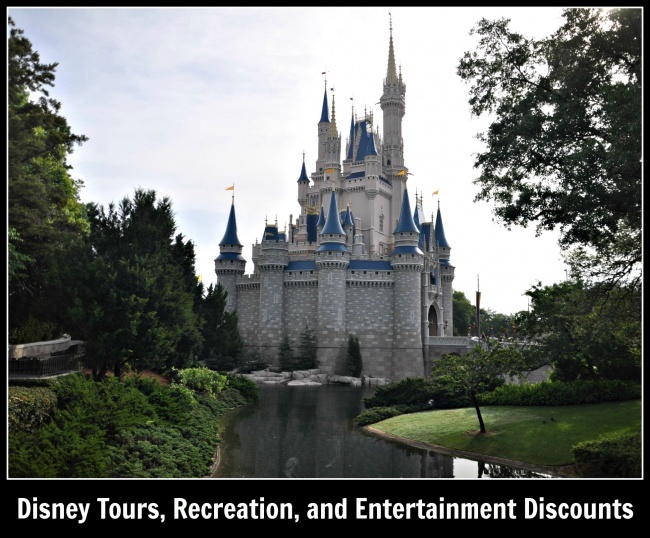 See our Walt Disney World Recreation Pricing page for other recreation and current costs or visit our Walt Disney World Water Recreation page. Book a Disney Resort Hotel Vacation Packages and receive 15% off the regular price of any boat rental at participating Walt Disney World marina locations. Contact The Magic For Less Travel for details. Book a Disney Resort Hotel Vacation Packages and receive 15% off the regular price of Guided Bass Fishing Excursions and Bass Nitro Fishing Excursions. Contact Disney The Magic For Less Travel for details. Walt Disney World Disney Resort Hotel Vacation Packages Premium and Platinum vacation packages include unlimited use of Disney’s Water Sports, Guided Fishing Excursions and Boat Rental. D23 Members receive 10% off parasailing, water-skiing, wakeboarding, tubing and personal watercraft rentals at the Contemporary Resort at Walt Disney World (Offer excludes merchandise). Plus, D23 Members get a free upgrade from deluxe single parasailing to deluxe tandem parasailing! Reservations may be made in person or by phone at (407) 939-0754. Mention D23 to receive your discount. There are two 36-hole miniature golf courses on Disney Property (divided in two 18-hole courses each), Winter Summerland near Blizzard Beach and Fantasia Gardens near the Dolphin Hotel. . Both courses are open seven days a week from 10 a.m. to 11 p.m. For more info, visit our miniature golf page. Book a Disney Resort Hotel Vacation Package and receive two miniature golf vouchers, each valid for one round of miniature golf prior until 4:00 p.m. (two rounds of golf per package), Contact The Magic For Less Travel for details. Add the “Water Park Fun & More” option to your Walt Disney World ticket and you have the choice of using any of your “visits” to play a round of miniature golf at either Disney’s Fantasia Gardens or Disney’s Winter Summerland courses. Only one round of golf may be played per day, and it must be done prior to 4 p.m.
Walt Disney World Disney Resort Hotel Package Premium and Platinum vacation packages include unlimited use of Disney’s Miniature Courses. Those who would like to play both courses at Fantasia Gardens and Fairways or Winter Summerland can show their receipt and get a 50% discount on the second 18 holes played on the same or next day. Walt Disney World features 3 golf courses, the Magnolia and Palm near Disney’s Polynesian Resort and the Lake Buena Vista Golf Course near the Disney Springs. There is also a family-friendly 9-hole walking course near Disney’s Grand Floridian Resort & Spa. Those staying at a Disney Resort or a Disney Springs resort or hotel always get advance tee times (90 days as opposed to 60 days for non-resort guests). Golf reservations must be guaranteed with a credit card and there is a 48 hour cancellation policy for a full refund. Play 9 Holes at Sunrise and Save! Walt Disney World Guests staying at a Disney hotel can play 9 holes of golf (10th through the 18th holes) at the Lake Buena Vista Golf Course or Disney’s Magnolia Golf Course, or the entire course, at Disney’s Oak Trail Golf Course for a reduced rate if they play at sunrise. “Sunrise 9” rates are available between 7 a.m. and 8:30 a.m. daily and cost $29 + tax. The “Sunrise 9” specials includes a hot breakfast sandwich and choice of beverage (coffee, orange juice, or water) prior to play and also a beverage (beer or soft drink) following play. Rental equipment is available at a discounted rate. For reservations, please call (407) WDW-GOLF (939-4653). A 2 Round Golf Pass can save all golfers money any day, at any time, on any course. 2-Round Pass rates are per person for two greens fees for one player on 2 different days for available tee times on any of the 3 Disney courses. One Pass cannot be shared by 2 players. Resort Guests can book within 90 days of tee times and others up to 60 days in advance. To obtain tee times, call (407)-939-4653. Passes can be picked up in the pro shops when you arrive. Summer Price Slice Rates are available during summer months for those who golf after 10:00 a.m., often with even deeper discounts with start times later in the afternoon. Inquire about “Summer Price Slice” rates when reserving your tee time. Twilight Rates offer a discounted rate when you tee off later in the day (at 1:00 p.m., 1:30 p.m., 2:00 p.m. or 3:00 p.m., depending on the time of year). The Players Club charges a per month membership fee and allows members to play golf for discounted rates at specific times of the day. Members also receive special rates for their guests, free use of practice ranges and free Monday – Friday golf clinics. For additional information, call (407) WDW-GOLF (939-4653). Complimentary roundtrip transportation to and from Disney golf courses is available for guests staying at Walt Disney World Resort hotels. The Swan and Dolphin resorts and Disney Springs hotels are not included in this offer. Contact Bell Services the night before scheduled tee times for a voucher to be used for fare (includes a gratuity for the taxi driver) and to scheduled taxi pickup from your resort to the golf course. To return to your Disney resort, the pro shop for your return taxi voucher. There is no charge for parking at any of the Disney Golf Courses. Walt Disney World Disney Resort Hotel Package Premium and Platinum vacation packages include unlimited use of Disney’s Golf Courses, including clubs, cart, balls & shoes. A Walt Disney World theme park ticket with the “Water Park Fun & More” Option allows a single round of golf at the Oak Trail 9 hole walking course per “visit”. Tee times are required. Active & Retired Military discounted golf rates for any of the Walt Disney World courses. The price will depend on the time of year and/or time of day your play. An active Department of Defense ID is required upon check in at the pro shop. Reservations may be made up to 30 days in advance. Call 407-824-2437 for more information. Annual Passholders and up to 3 guests get special golf rates, up to 30% off. The discount is available on Day Visitor Rates for play any time of day. Advance reservations are required and can be made up to 14 days in advance. Disney Premier Passport Holders (annual pass for Walt Disney World and Disneyland) can get unlimited rounds of golf at the Oak Trail 9 hole walking course. Tee times are required and are based upon availability. Florida resident and Orlando area resident (Orange, Lake, Polk, Seminole and Osceola counties) can get year round discounts on green fees. Discounts vary seasonally. Proof of residency will be required for both discounts. 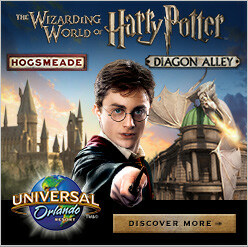 May be booked up to 14 days in advance for Florida Residents and 7 days in advance for Orlando Residents. Call (407) WDW-GOLF (939-4653) for details. AAA Members can sometimes get discounts on golf at Disney World. Often there are better discounts available and AAA members should check for other Disney discounts first. Walt Disney World offers two full-service spas, Senses – A Disney Spa at Disney’s Grand Floridian Resort and the Senses – A Disney Spa at Disney’s Saratoga Springs Resort, as well as several massage services, fitness rooms and/or salons. Guests can book spa appointments by calling 407-WDW-SPAS (407-939-7727). Book a Walt Disney World Disney Resort Hotel Package and receive 15% discount on the non-discounted price of select 50 minute or longer Spa service or any Salon service at select Disney Resort hotels. (Hand and foot treatments are excluded. Age restrictions apply. One per package). The Magic For Less Travel for details. Walt Disney World Disney Resort Hotel Package Platinum vacation package includes one selected facial, relaxing body treatment or manicure & pedicure at participating spa locations. One treatment per guest, age restrictions apply. Annual Passholders and Disney Vacation Club Members receive a discount on select services. The Mandara Spa, located at the Dolphin Resort offers a variety of treatments and services. To see a list of what is offered, visit the Mandara Spa and to see occasional special offers at Walt Disney World, click here (then click the “Spa Offers” tab). D23 Members receive 10% off their treatments at any Mandara Spa when they present their D23 Membership Card upon payment. Deals for Mandara Spas can sometimes be found through SpaFinder. Mandara Spas are located at the Dolphin Resort at Walt Disney World, Disney’s Grand Californian at the Disneyland Resort and Portofino Bay Resort at Universal Orlando. You can get complete info on child care at Walt Disney World Resorts on our Child Care page. The following discounts are available for child care at Walt Disney World Resorts. The Kids Club at the Dolphin Hotel offers children two hours of complimentary time at Camp Dolphin when parents dine at Shula’s Steak House, Todd English’s bluezoo or Il Mulino New York Trattoria OR purchase a spa service at Mandara Spa. Simply present your receipt as proof of purchase (one child admitted for each adult entrée purchased OR for the purchase of any spa service of 75 minutes or more). Active Military receive $3.00 off at AMC Disney Springs 24 on daily shows after 4 p.m. A valid military ID is required. At Fork and Screen, one military member per party may take $2.50 off the regular $14 ticket with valid ID. Check AMC Disney Springs 24 web site for special promotions. Or, look for promotions available at all AMC Theaters by visiting AMC’s Current Offers page or checking AMC’s Facebook page. Purchase your AMC Disney Springs 24 tickets in advance from Fandango AND purchase one advertiser offer and get a Cash Back Rebate. It’s like getting your ticket for free! Take a look and see if there are any offers that interest you. Use area code 32830. AMC Stubs is AMC’s member’s club that rewards you for going to the movies. Receive a $10 reward for every $100 you spend, plus free upgrades on popcorn and soda. There is a fee for membership per year. Click here to join or for more info. Be sure to check our Annual Events page for the latest event information on yearly Walt Disney World events. Walt Disney World Annual Passholders and Disney Vacation Club members can usually get discounts on the following specially ticketed events at the Magic Kingdom Park: Mickey’s Not So Scary Halloween Party, and Mickey’s Very Merry Christmas Party. Discount is only available on selected nights, based on a limited availability and applies to Advance Sales (does not apply to “Day of” admission price) for these specially ticketed events. Check the links above for the latest information and discounts for these events as they become available. Military can sometimes get specially discounted tickets for Mickey’s Not So Scary Halloween Party and/or Mickey’s Very Merry Christmas Party on select dates. Check the links above for the latest information and discounts for these events as they become available. Annual Passholders, Disney Vacation Club, Tables in Wonderland and Disney Rewards Visa discounts are also often available for select Epcot International Food & Wine Festival events when purchased in advance. Check the link above for the latest information and discounts for this event as they become available. ESPN innovation and entertainment joins the magic of Walt Disney World Resort at this 220-acre sports complex, host of more than 60 sports and thousands of events for athletes of all ages and skill levels. From the state-of-the-art broadcast center and the ESPN Innovation Lab to professionally kept fields and courts, there is no other place like this to play at the next level. The complex features separate areas for baseball, football, tennis, soccer and track & field. In addition to hosting events for these sports, the venue also hosts events for runDisney, cheerleading, gymnastics, dance, volleyball, lacrosse and more. Be sure to check our Annual Events page for the latest info on what’s happening at ESPN Wide World of Sports. General Admission (to shop, dine & have a look around): $18.50 adult; $13.50 ages 3-9, plus tax. While some events offer free public viewing, most will require a separate admission fee. Premium Annual Passholders get unlimited admission to ESPN Wide World of Sports. Annual Passholders and Disney Vacation Club Member are occasionally offered discounts or free admission to special ESPN Wide World of Sports events, as well as occasional opportunities for advance purchase. Add the “Water Park Fun & More” option to your Walt Disney World theme park ticket and you have the choice of using any of your “visits” for admission to ESPN Wide World of Sports Complex. Each visit includes 30 minutes of game play at PlayStation Pavilion. In addition to the Cirque du Soleil and Bibbidi Bobbidi Boutique discounts listed on this page, discounts are sometimes available for other Disney Springs events and entertainment. For a complete listing of limited-time discounts, visit our Disney Springs page and click on specific sections. The discounts listed below are on-going. For a limited time, the General Public can take advantage of an early bird offer at Splitsville in Disney Springs. Monday through Friday from 10:30 a.m – 12:30 p.m. Early Bird Prices include shoe rental and exclude holidays and certain blackout dates so be sure to check if the discount is offered when you are visiting. Disney Vacation Club Members and Active Military can ride Characters in Flight tethered balloon ride for a discount at specific times. Disney Resort Hotel Vacation Packages for Disney resorts come with many Disney Springs restaurant and shopping discounts. 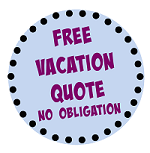 Click here to see what is available. Disney’s Visa Rewards and Debit cardholders get 10% off at many locations. For more info on Disney Visa Rewards or Debit card discounts click here. Annual Passholders can save up to 20% on some Disney Springs restaurants and up to 10% on merchandise at select Disney Springs stores, including World of Disney store. To see a complete list click here. Annual Passholders can save 10% off the regular price of bowling (excluding tax) at Splitsville Luxury Lanes. Walk-in bowling only; not valid for reservations. Active Military can show their ID and get 10% off (unless otherwise noted) at the following merchandise locations at Disney Springs: Basin, Curl by Sammy Duvall, Planet Hollywood, Orlando Harley Davidson and House of Blues (15% off). Active Military can show their ID and get $10 – 25% off select restaurants at Disney Springs. See a complete list of Military food discounts at Disney Springs on our Dining Discounts page. DVC Members receive 10 – 20% off select restaurants at Disney Springs. DVC Members get 10% off merchandise at all Disney owned and operated merchandise locations at Walt Disney World Resort, including World of Disney store at Disney Springs. A valid DVC Member ID must be presented at time of purchase to receive discount. May not be combined with any other discount, offer, or promotion. Some restrictions and exclusions may apply.